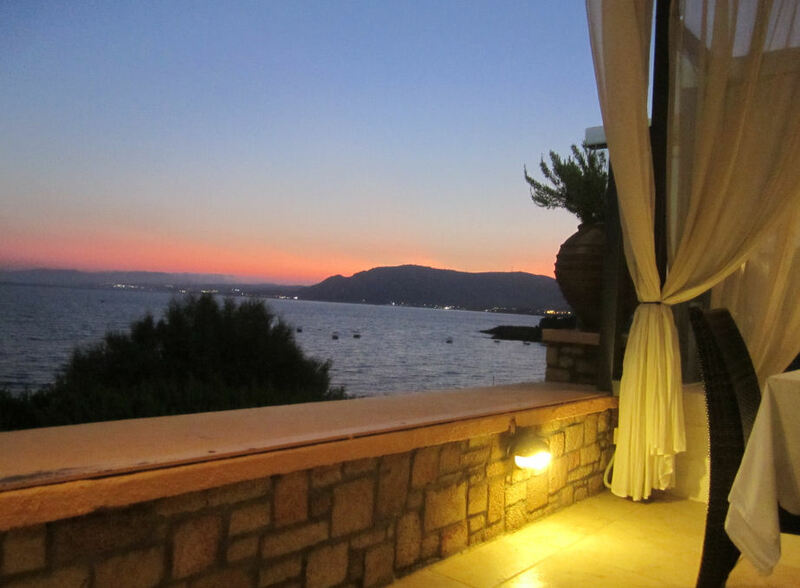 Fine dining near the beach with beautiful sunset views. 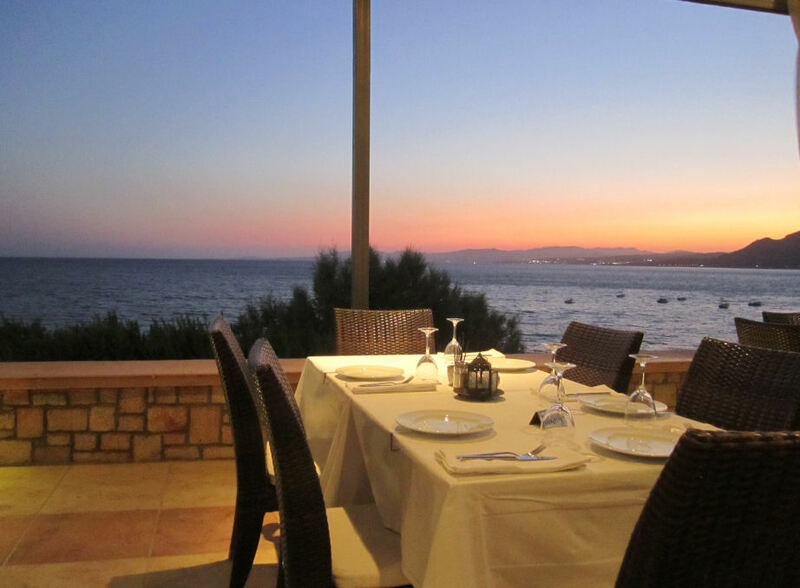 Kyma Beach Restaurant uses the best local produce to create excellent Greek Cuisine. Kyma is located right at the sea end of the Main Beach Road. 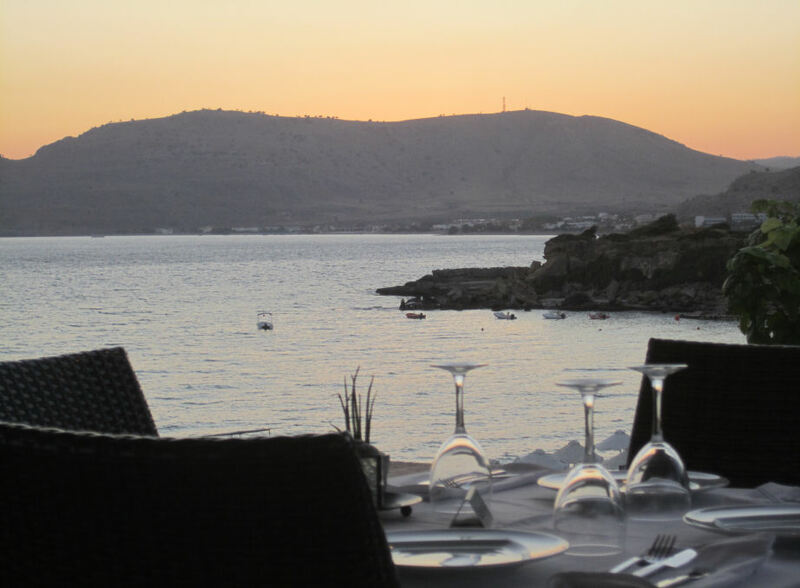 The restaurant is very stylishly designed, and gives you a front row seat at a beautiful sunset over Lee Beach and the Pefkos mountains. The menu puts a fine dining spin on some traditional Greek and Italian dishes. We particarly recommend the seafood here. 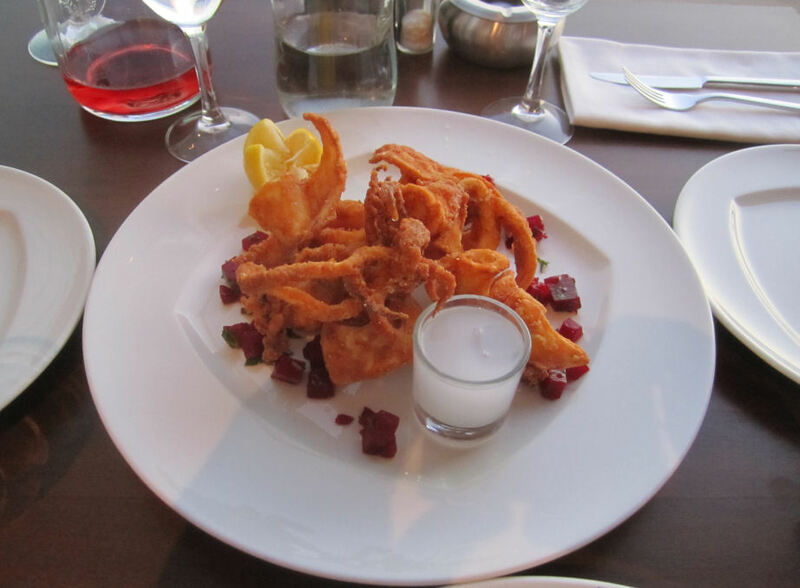 The menu and more details can be found on the Kyma Beach Restaurant Website. We love visiting Kyma, we're always impressed with the chef's creativity and skill, but it's the location which really makes this special. It's true that it's a bit more expensive than many restaurants here, but when you consider the quality of the meal, combined with the experience of the location, as a treat or that special meal we think it's well worth it. If Kyma Beach Restaurant is a favourite of yours, give them a vote in Best in Pefkos 2016.